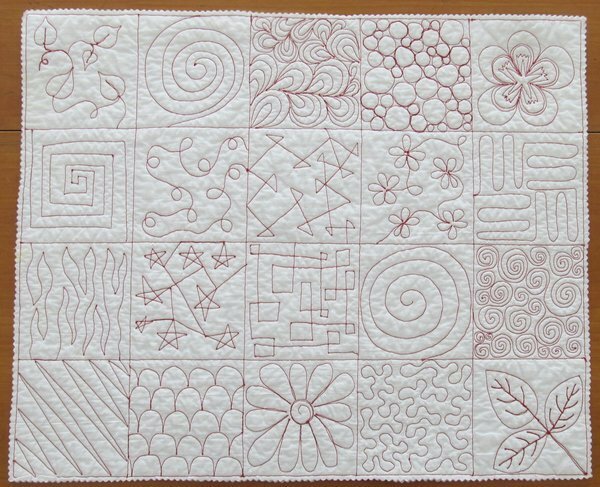 Learn a variety of free motion quilting stitches. Use your needle like a pencil and enjoy the freedom of free motion quilting. We will be making sampler piece with 20 different patterns on it. Come see which designs you like best. Beginners welcome!